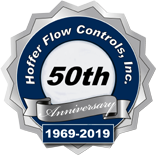 Hoffer Flow Controls is a supplier of flow products to various agencies within the U.S. government including the Navy, Army, Air Force, NASA and numerous other agencies within the government. We have designed and supplied flow meters and flow systems for all types of liquid, gas and cryogenic flow meters, flow applications within the government. Many of the flow systems designed for these applications incorporate special features invoked due to the nature of the application. Some of these features include designing the flow system to meet the following requirements. • EMC Standard EN55011:1991- (Radio Disturbance Characteristics) and EN61326-1:1997 (Electrical Equipment for Measurement, Control, and Laboratory Use). • MIL-STD-462D -EMI (Measurement of Electromagnetic Interference Characteristics). • MIL-S-901D – Shock Test, H.I. (High Impact) Shipboard Machinery, Equipment, and Systems. • MIL-STD-167-1 – Mechanical Vibration of Shipboard Equipment. 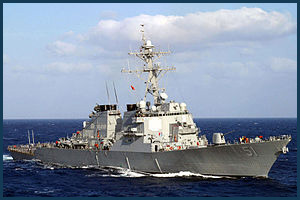 Hoffer Flow Controls has turbine flowmeters on almost every “class” of ship in the US Navy. Our meters are currently in use to monitor the fuel supply to the diesel engines. Our meters are currently specified for use to monitor the fuel supply to the engines on the TAOE, LSD, SSBN, CG 47, DDG 51, FFG, LHA, CVN, T-ARS, and LPD Class ships within the US Navy fleet. Our meters are in use on the flight deck on CVN 78. For that application we have supplied bi-directional flowmeters for fueling the aircraft in the forward flow direction and for off-loading the fuel from the aircraft in the reverse flow direction. In addition to the fuel applications on these ships, Hoffer turbine meters are used on the RO water treatment plants on many of the class of ships noted above. These are typically specified by the RO system supplier. Another shipboard application in more recent years is the monitoring of water or water/glycol used for cooling purposes for the radar systems. On the Zumwalt we have supplied 4″ size meters for the AMDR (Air Missile Defense Radar) systems for cooling purposes. Our meters will soon be used for monitoring the cooling water on the Aegis combat systems on the DDG class of ships. Shipboard applications are great applications for our product line because our flowmeters and some of our electronics have been successfully designed and tested to meet MIL-S-901D Shock tests – high impact and MIL-STD-167-1 – mechanical vibration. Our CAT3 intelligent signal conditioner has also successfully been tested to meet EMC (Emissions) Standards EN55011:1992 and EN61326-1:1997. In addition, a number of our flow systems have been tested to meet an accelerated life endurance test. We have supplied multiple flow systems for nuclear submarines that have level 1, subsafe approval. Hoffer Flow Controls has supplied several hundred flow systems for use on a number of classes of submarines within the US Navy fleet. Our flow systems are currently in use on the USS Ohio Class, the USS Virginia Class, the USS Seawolf Class and the USS Los Angeles Class submarines. Additionally, our flowmeters were used on the NR-1 submarine (Deep submergence research and engineering vehicle) through 2008 when this class of vessel was decommissioned. Here is a brief description of some of the flow systems we have supplied for use on submarines. A modern submarine is designed to dive or surface rapidly under complete control. It must be able to proceed on the surface and to submerge at the desired rate of speed to the depths required. To do so quickly and efficiently, the submarine must maintain fore and aft balance, and athwart ship stability. The chief function of the trim and drain system is to maintain this fore and aft balance by controlling the amount and distribution of water in the various tanks used for this purpose. 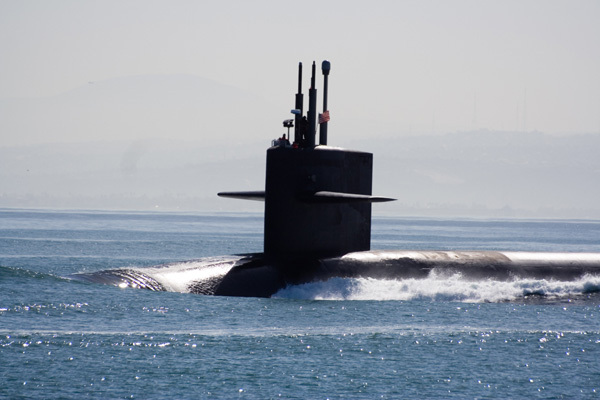 Hoffer Flow Controls has supplied Trim & Drain flow systems used on the Ohio Class submarines. The flow media is salt water. The Hoffer equipment is in a pressure containing system within the submarines. Failure of this system would endanger the lives of those aboard the submarine. As such, we have been approved for Level 1, subsafe systems as required for pressure containing systems on nuclear submarines. This system has been tested to meet MIL-STD-901C for high shock. This system consists of four 1 ½” and one 1” turbine flowmeters. Five flowmeters are used on each submarine in the missile cooling system on the USS Ohio Class submarine. Flowmeters are of stainless steel construction. Each flowmeter is supplied with a signal conditioner. These flowmeters are an integral component in a system on this nuclear class submarine. The flow media is demineralized water for missile cooling. The meters are in continuous service and have been approved to meet high shock MIL-STD-901C, vibration MIL-STD-167B, and electro-magnetic interference MIL-STD-461 and 462. Additionally, this equipment meets MIL-STD-1399 which is a magnetic field effects test. The flowmeters were tested to meet an accelerated life endurance test.